Paving the way for clean energy in Hawaii and around the world, Blue Planet Foundation was looking to connect to a wider audience. 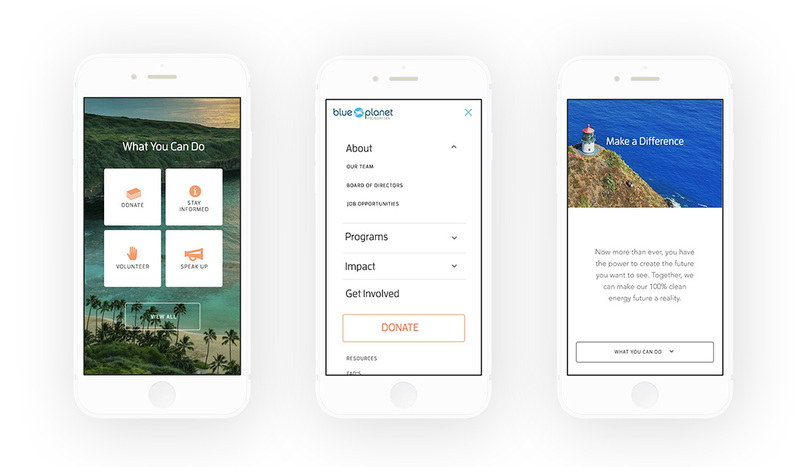 To help, our goal was to revitalize their information within a mobile-first site that could reach everyone everywhere. Energy is a complex subject, and so are the issues surrounding it. 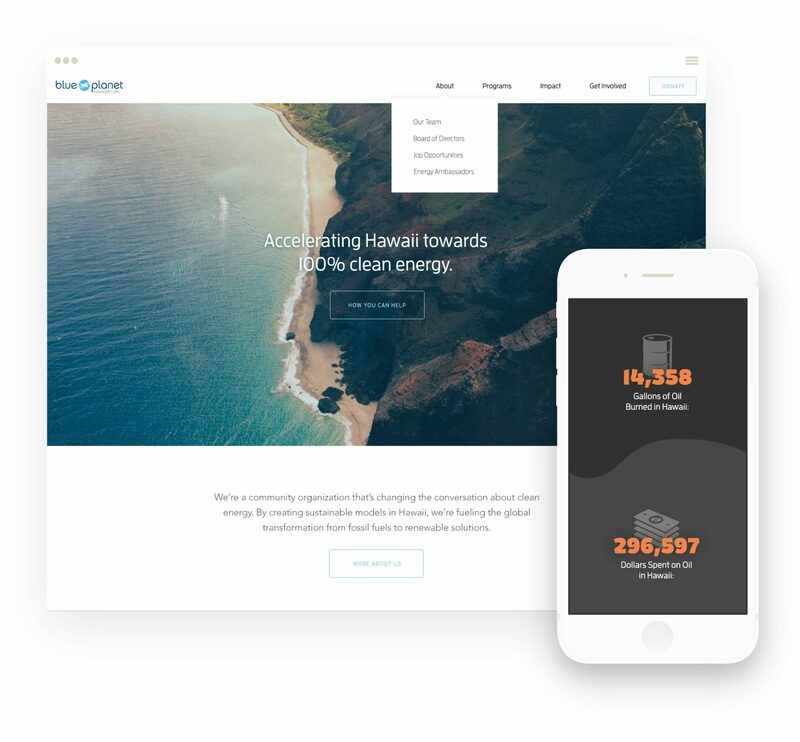 To better inform a more youthful population, we simplified the vault of content and reorganized their user flow structures to make their mission clear and facts-driven. How do you connect with people on the move? By moving with them, of course. That’s why we designed a mobile-first website that would serve as a vehicle to help drive engagement with the general public. 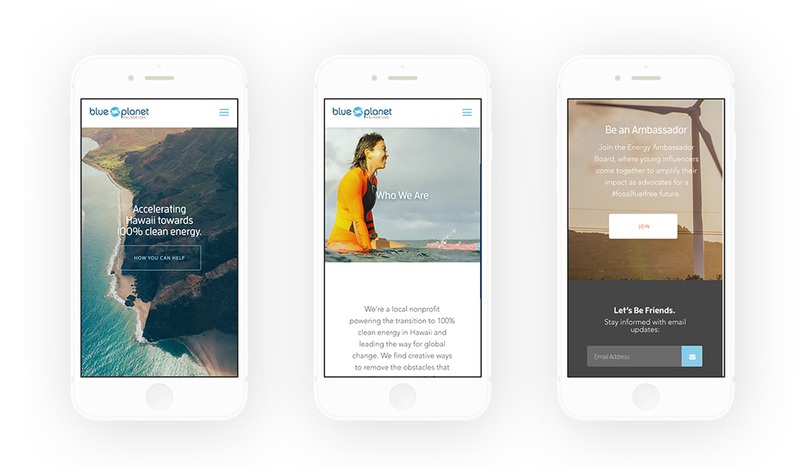 Our designers wanted to provide a clear lens through which to view Blue Planet’s goals. 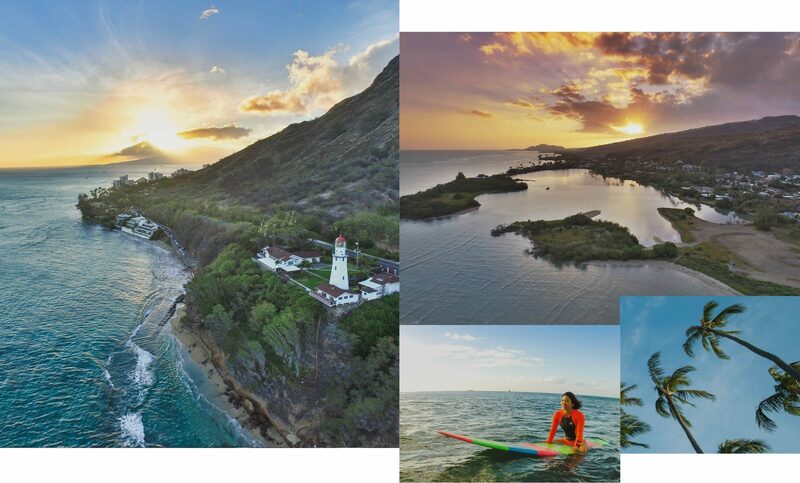 To do so, we used their images of the stunning Hawaii scenery to show their audiences what a future with clean energy could look like. Throughout many sections, the images were used in the background to attract the viewer to the text overlaying it. The blend of images with text contributed to keeping the design clean and sleek, and the complex subject readable and digestible.